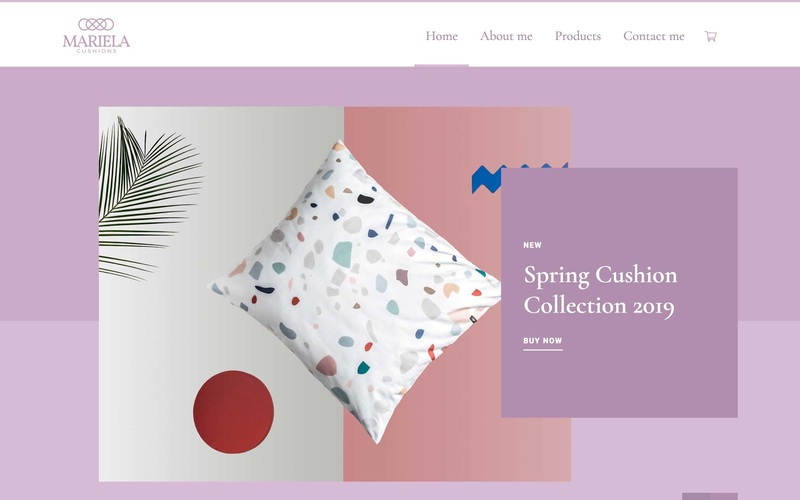 These templates can help you get your ecommerce store up and running faster — or, help you see how others have built sites in Webflow. No matter what your reasoning is, you’ll love these new ecommerce templates, built specifically for the beta launch. A free template is a great way to reverse-engineer particular layouts or interactions in Webflow and to grab pieces from one store for use on another — all without paying a penny. Here’s a set of 100% free templates to use as you please. A clean, versatile template to get your store off the ground — in no time. 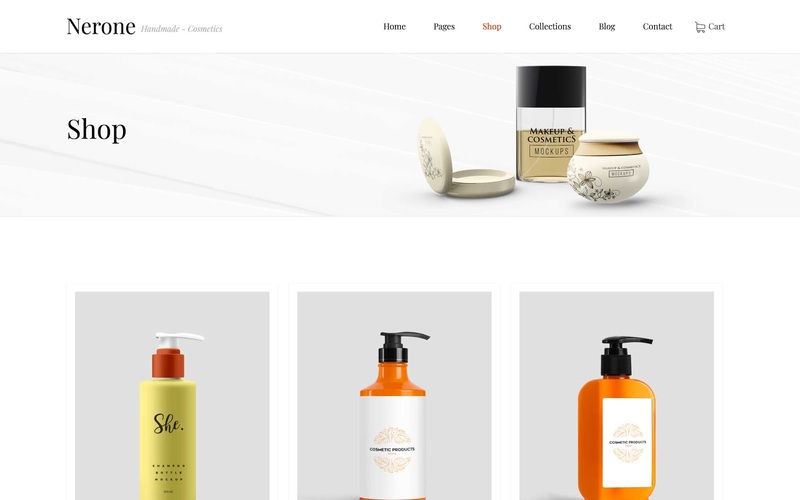 If you’re looking for a straightforward, multi-purpose ecommerce template to get started, Fre might be the match for you. Fre’s modern and responsive product pages, cart designs, and checkout pages are simple to customize and easy to use — on any device. Like my mom always says, the best things in life are Fre. Choose your own adventure time, folks! A customizable and comfy template for selling home goods. Mariela is a perfect template for all you artisans selling unique home and decor products. What makes this template unique is its focus on product details throughout the site. Mariela is designed to help you fully customize your site — without starting from a blank canvas. From your cart design to your confirmation page, you can adjust colors, fonts, and icons to match your brand identity. 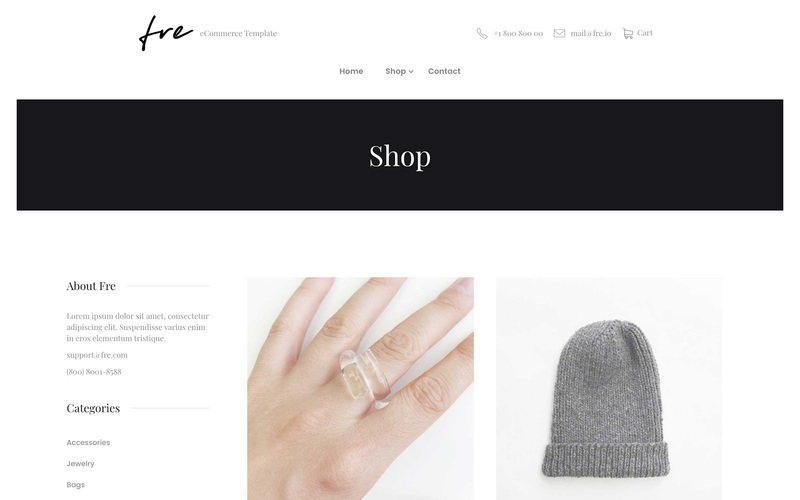 A minimalist, content-friendly template for a wide range of products. 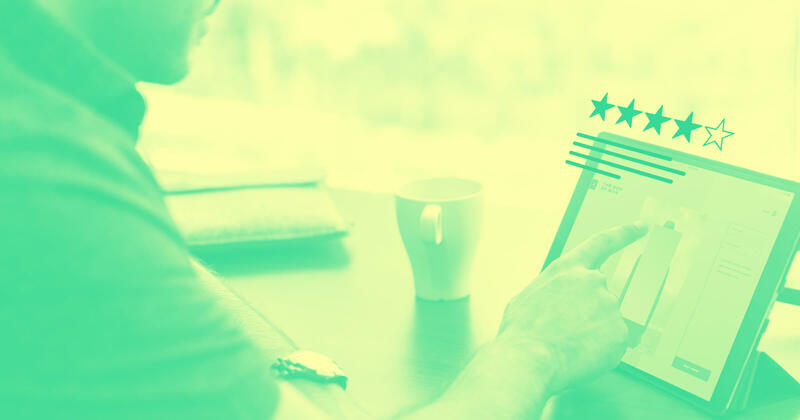 Does your ecommerce brand have a story to tell? 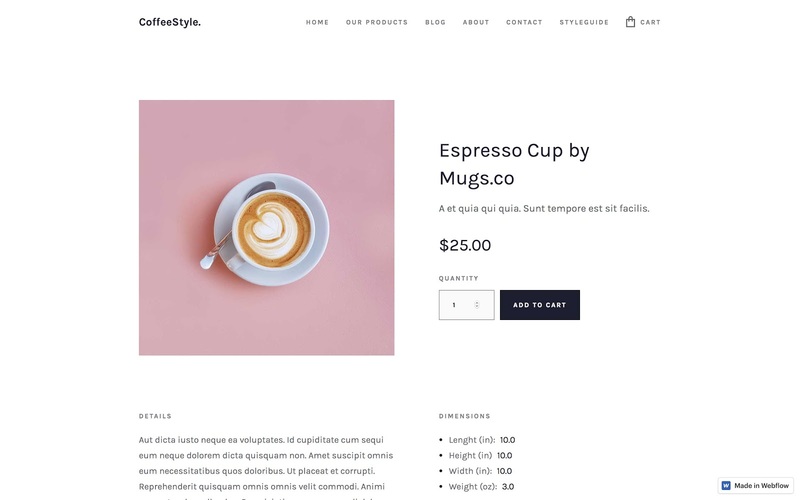 CoffeeStyle is the perfect template to create a buzz with a built-in blog and detailed product pages. 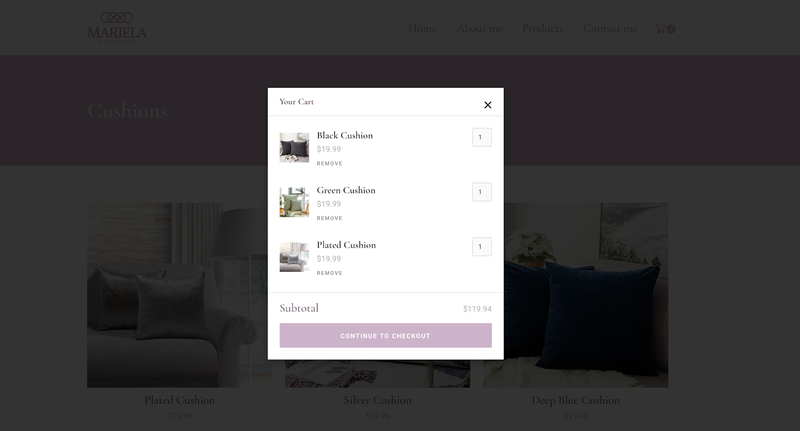 Customize CoffeeStyle’s bold, responsive checkout pages and cart designs with ease to fit your brand and perhaps more importantly, your customers' screen size. A colorful, family-friendly template designed for selling children’s products. Parenting is hard. 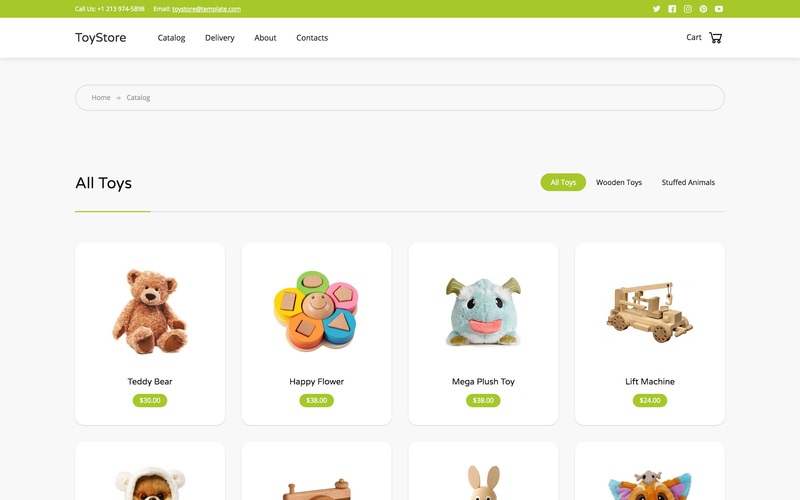 Luckily, creating a parent-friendly ecommerce site is easy — with ToyStore. It seems that iPad-friendly is the new family-friendly these days — so this template is built with mobile in mind. From colorful cart designs to clean product pages, ToyStory has everything you need to create a memorable and functional customer experience. 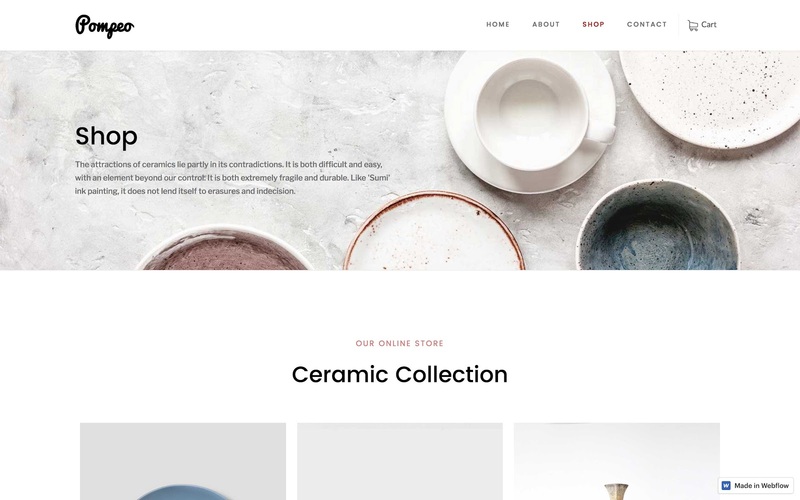 A template for artisans looking to create an ecommerce experience as meticulously crafted as their products. Designed with an artisan craft store in mind, Pompeo is a flexible template for anyone looking to sell their own creations. Pompeo's responsive order confirmation pages feature an elegant header image that you can customize to match your brand and products. If you’re looking for something a bit more built-out, these premium templates are packed with features, and flexible enough to be restyled for whatever store you’re working on. A bold, expansive template packed with seven different layout options. 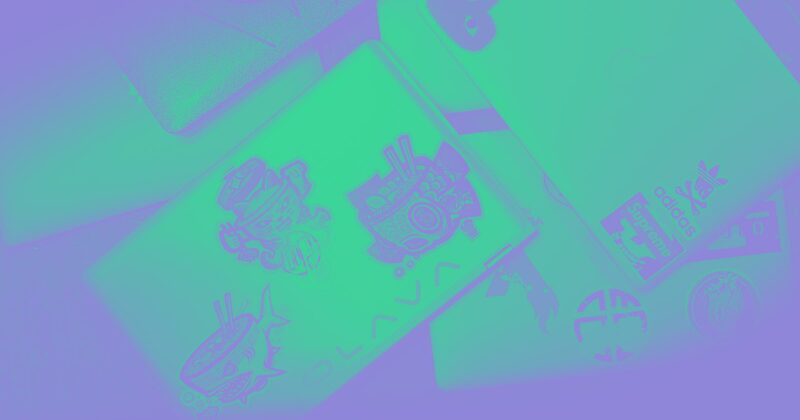 Meteora sets itself apart with its unique layout combinations and rich product pages. 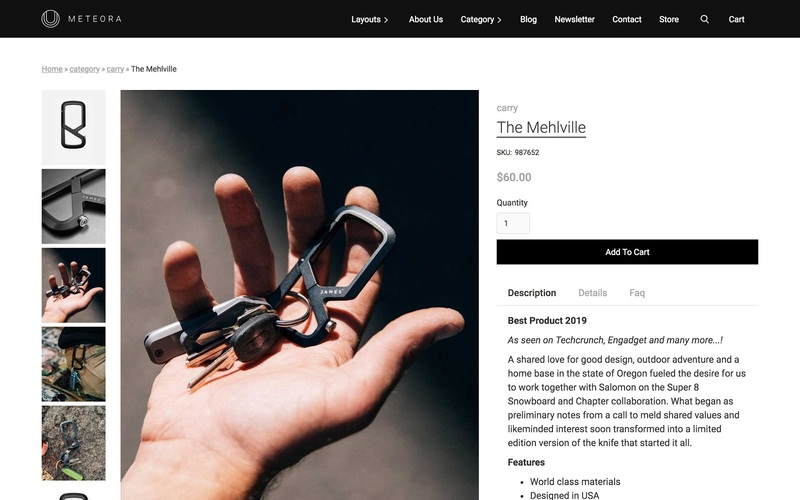 With a built-in blog and newsletter module, Meteora gives you everything you need to set your store apart from the competition and impress your customers. Meteora’s sophisticated and responsive checkout page ensures a seamless checkout experience — on any device. Now, I'll let you check out all that Meteora has to offer while I go dig up my best meteor pun — you know it'll be out of this world. A clean template for artists and photographers selling highly visual products online. 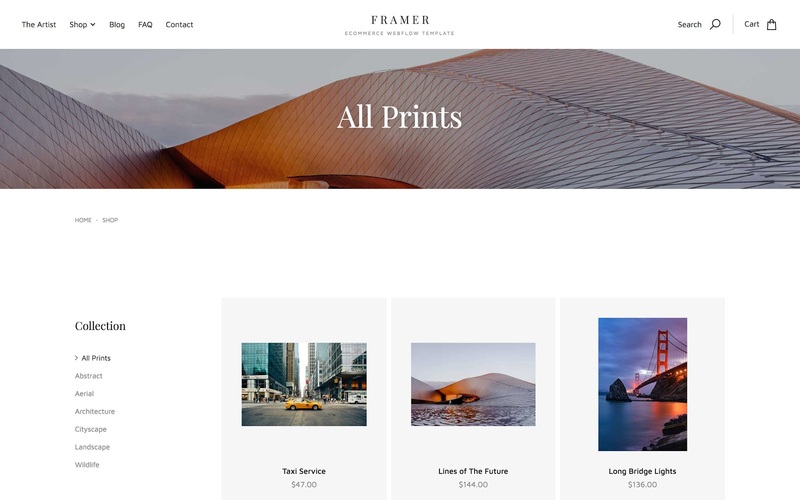 Whether you’re a seasoned photography pro or simply monetizing your hobby, Framer is a perfect template for selling your image collection. Framer’s animated, elegant checkout page is sure to leave an impression on your viewers — no matter what device they’re using. A modern template designed for seamless shopping experiences. Some things are timeless. For example, the millennial enthusiasm for filling temporary living spaces with trendy, cheaply made furniture. Capitalize on this axiomatic market with Furni. 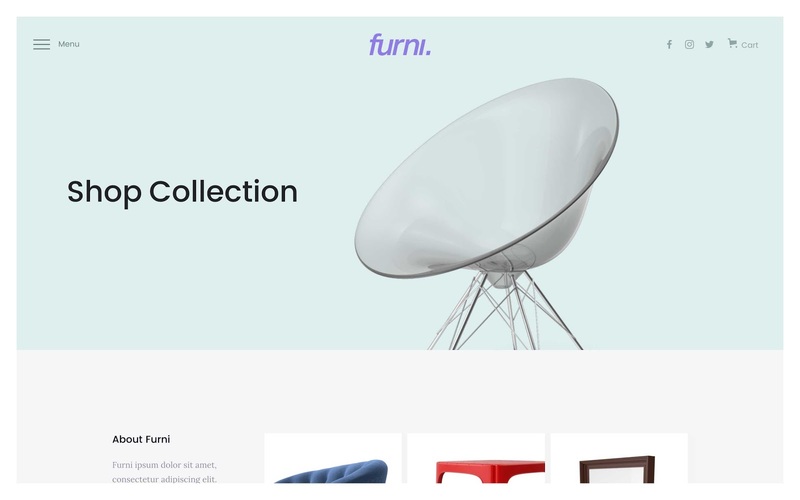 Every page included with Furni is fully responsive — allowing you to spend more time customizing its friendly confirmation pages and cart designs to match your brand and less time designing across breakpoints. A stunning template for anyone selling beauty or health products. Five out of five dentists agree — scented candles are the new self-care. And six out of five dentists agree that most people are buying their scented candles online. Nerone makes it easy for health and beauty retailers to craft an enjoyable shopping experience and achieve high-end brand appeal. 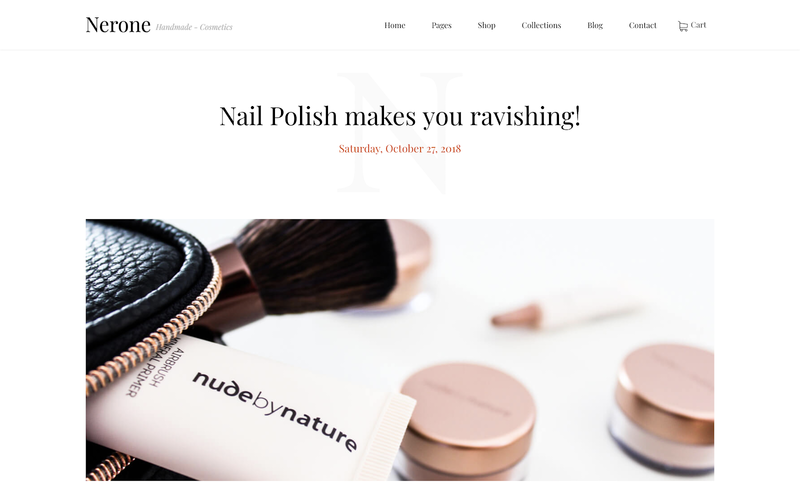 Nerone also comes with a beautiful built-in blog where you can publish content about your products and polish your customer experience. 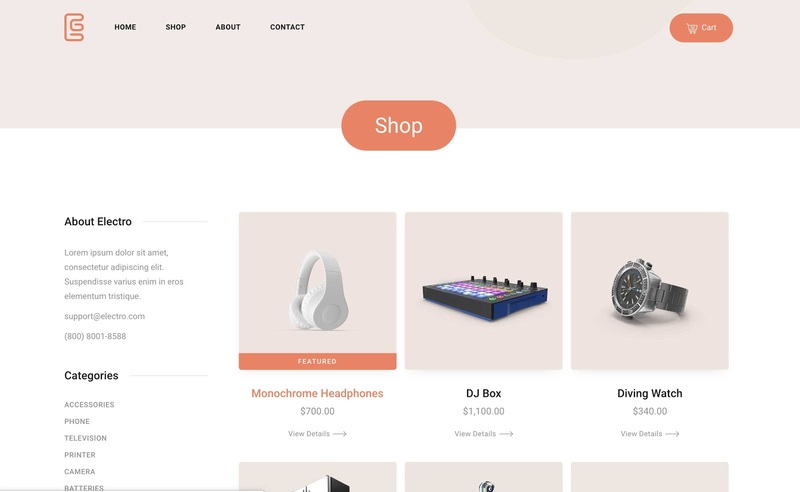 A flexible and sophisticated template for selling electronics, gadgets, and even robots. Want to be the next Best Buy? Want to sell old electronics you found lying around in your garage? Or maybe something in between? Meet Electro. Electro’s clean and responsive checkout pages make it possible for your customer to purchase your hottest products from any device … because anyone, on any device, should be able to purchase your new Brita-filling robot — right when it hits the store. We created these templates specifically for our Webflow Ecommerce beta launch. Want to learn more about about Webflow Ecommerce and what it means for the future of ecommerce? Check out our beta announcement post for a closer look at what’s included in the beta, what’s ahead, and how you can get started building online stores with Webflow. P.S. 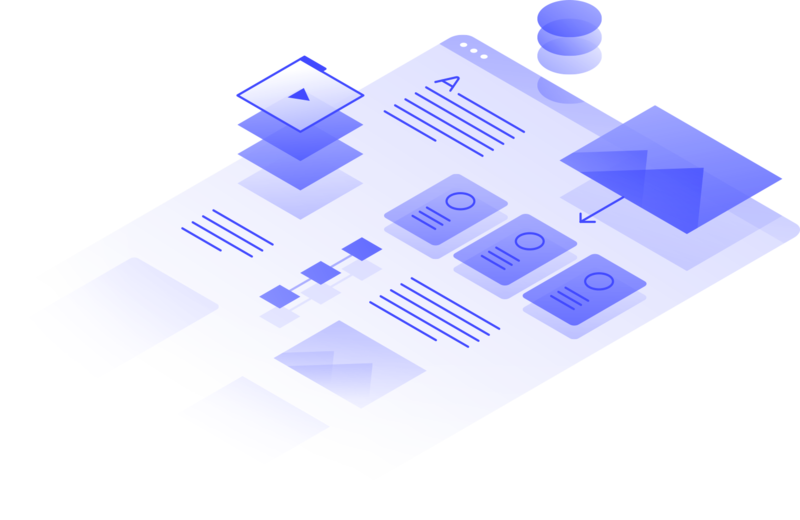 Want to design templates for Webflow? Check out our submission details for more information.